On St. Sarkis - having a "mature" Christian faith means responsibility. About the issue and problem of domestic violence within the Armenian Community. 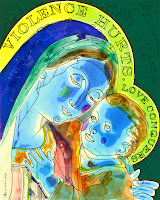 Unveiling of the "Violence Hurts; Love Conquers" icon. Sermon delivered by Fr. Vazken Movsesian on February 5, 2012. 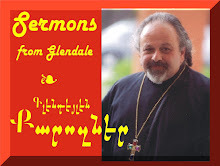 Recorded LIVE at the St. Peter Armenian Church and Youth Ministries Center in Glendale. Armenian Language at beginning. English at minute 15:40.